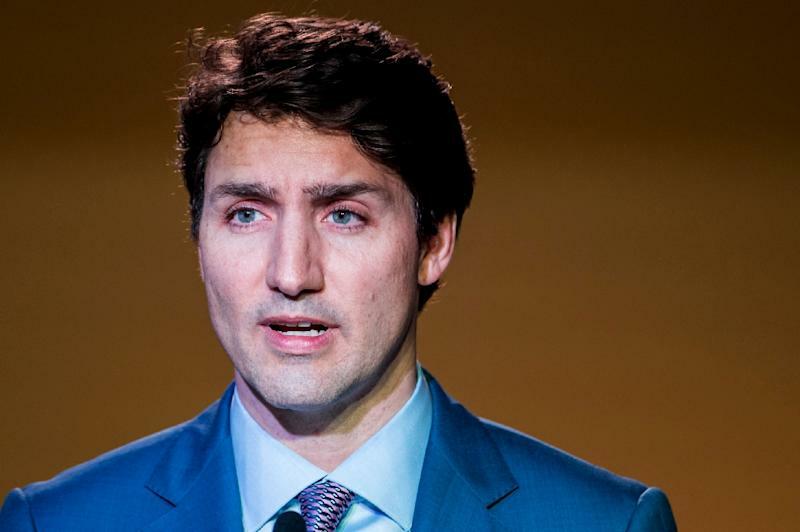 Ottawa (Canada) (AFP) - Prime Minister Justin Trudeau said Sunday his government is holding "financial discussions" and weighing legislation to help resolve a high-stakes clash between two Canadian provinces over a major pipeline project. The dispute in Canada's west has oil-rich Alberta boycotting trade with British Columbia over its environment-based opposition to the Trans Mountain pipeline. The spat has raised fears of a constitutional crisis, and Trudeau's own political future may be at stake. He interrupted a trip to Peru, France and Britain on Sunday to return to Ottawa to mediate the spat. The project -- which would triple the pipeline's capacity to carry Alberta's oil sands to port in Vancouver -- is fiercely opposed by British Columbia's government, ecologists and indigenous groups who warn of a possible environmental disaster in the event of a leak. Trudeau's Liberal government in 2016 approved the expansion project, aimed at helping landlocked Alberta ship its oil sands to the Pacific coast and then to overseas markets. "I have instructed the minister of finance to initiate formal financial discussions with (Texas energy company) Kinder Morgan ... to remove the uncertainty overhanging the Trans Mountain pipeline expansion," Trudeau said Sunday. Kinder Morgan recently suspended its pipeline work amid the intense political uncertainty, saying it would drop the project if the parties fail to resolve their differences by May 31. "We are actively pursuing legislative options that will assert, plus reinforce, the government of Canada's jurisdiction in this matter, which we know we clearly have," Trudeau said. He has insisted that the pipeline falls under federal purview and that British Columbia has no right to block it. Trudeau needs the support of British Columbia voters to win a second term next year. But the hit to the economy if the pipeline isn't built could also have devastating effects at the ballot box. Meanwhile, Trudeau needs Alberta aboard to meet his international climate commitments. Trudeau emphasized that the pipeline represented a "vital strategic interest" for Canada and insisted "it will be built." But in a statement following Trudeau's remarks, environmental nonprofit Greenpeace said the project "isn't going anywhere." "Bailing out failing projects, strong-arming indigenous communities by ignoring their right to consent, and bypassing calls for science-based decision making are ways to create a crisis, not solve one," the organization added. Trudeau made his comments in a news conference following an urgent meeting with premier Rachel Notley of Alberta and her British Columbian counterpart, John Horgan. Horgan gave no sign of relenting. "My responsibility is to defend our coasts and to defend the interests of British Columbians, and I'll do that until I'm no longer the premier," he said. Notley seemed equally determined. She said her government had begun "significant conversations with Kinder Morgan around the financial arrangements that will make sure that it gets done."